A moderately easy high-altitude trek to one of Southern California’s “three saints” – the three tallest peaks of their respective ranges. 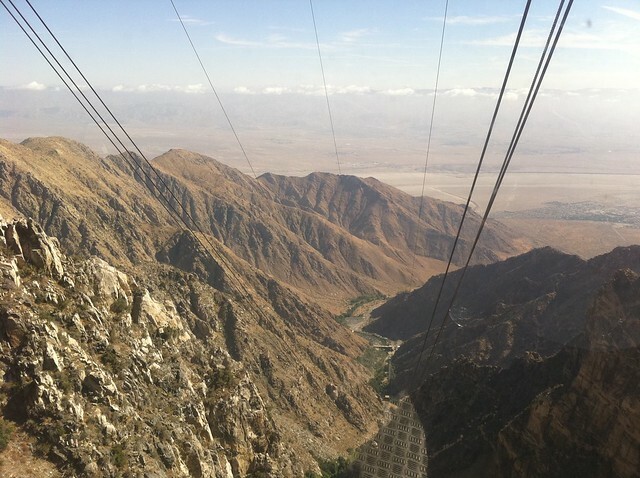 This trail is probably the easiest way to summit, featuring an aerial tram that takes you from the sweltering heat of Palm Springs at 2643 feet to the cooler alpine climes at 8516 feet. This is an excellent way to get some high-altitude experience under your belt, and the trail itself has a pretty amazing view to effort ratio, too. 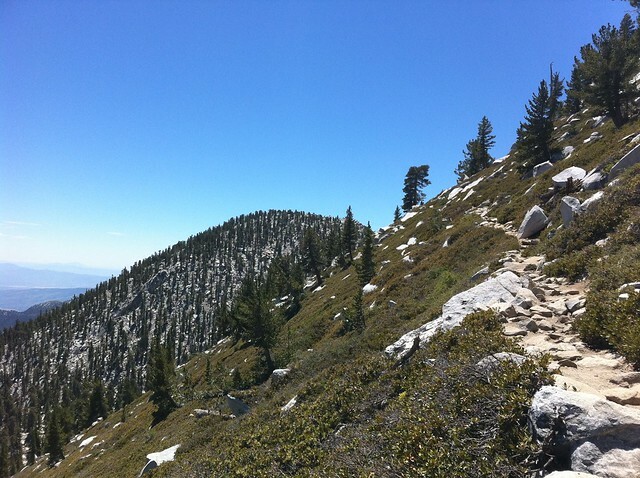 As a way to get a little more high altitude time in before our trip to Mount Whitney, some hiking buddies and I did this trail the weekend before heading up to Lone Pine. We were more interested in just being above 8000 feet than we were with busting our legs up, and this trail definitely did the trick. 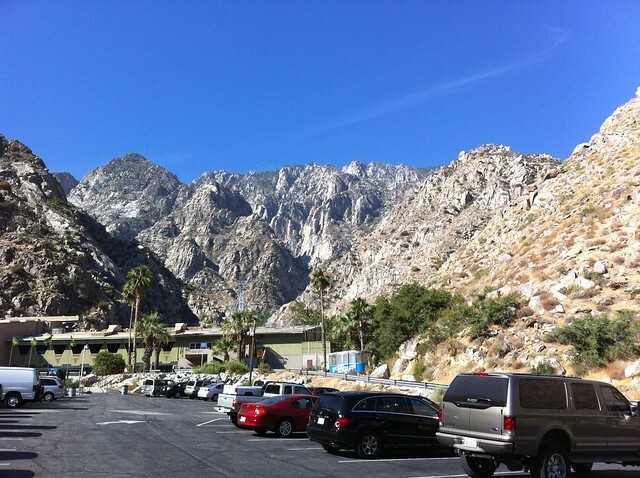 When you arrive at the parking lot of Valley Station, you’ll have to buy a ticket for the Palm Springs Aerial Tramway – the largest rotating aerial tramway in the world (don’t forget to get your AAA discount!). The narrated tram ride will take you up almost 6000 feet in about 8 and a half minutes and is quite an experience in and of itself. You’ll have full 360-degree views of narrow Chico Canyon and the desert floor while you’re ascending, and when the tram passes one of the few towers along the way you’ll even get a split second of weightlessness – which can make for a noisy but fun ride. When you arrive at Mountain Station, you’ll probably feel more like you’re in a tourist trap than a backcountry destination. There are several gift shops and restaurants in the station, but if you want to get hiking just head out the back door ASAP. The area closest to Mountain Station is heavily developed (as far as an outdoorsy destination can be), and you may feel a bit out of place among the day tourists from the desert floor. 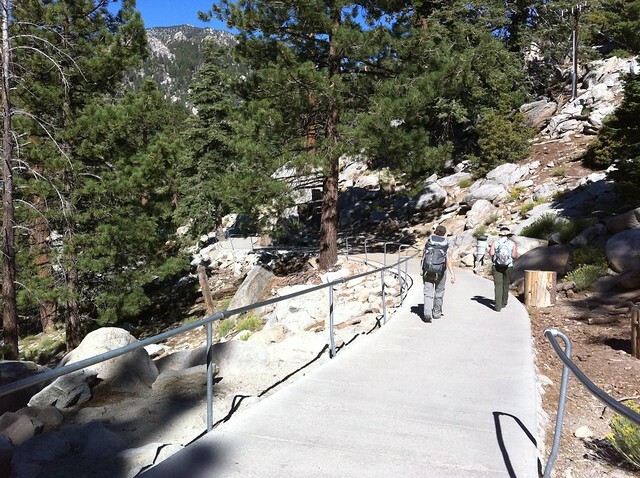 The “trail” starts out on a paved sidewalk with handrails and makes a fairly steep descent from Mountain Station. This area features some picnic areas and short nature walks, but you’ll quickly leave the paved path and find your way to proper trail. Continue west from Mountain Station, making sure to stop at the Long Valley Ranger Station for a self-issued wilderness permit. The trails here are very well signed, but be sure to pay attention. 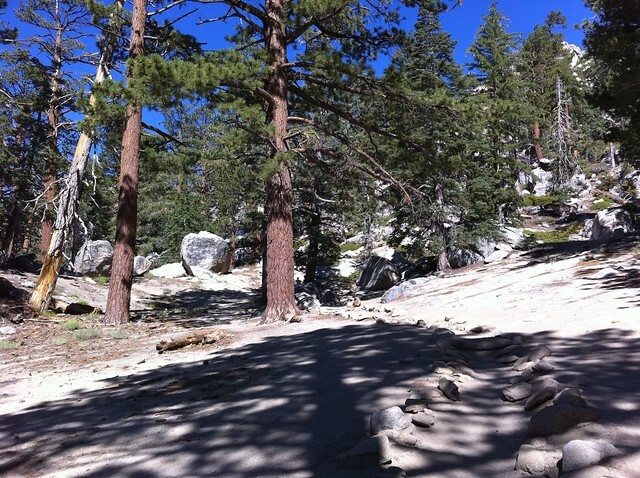 Mount San Jacinto State Park packs a surprising number of trails into its 14,000 square miles. Many routes will take you to the same destination, but if you head the wrong way you might end up tacking a few extra miles onto your day. 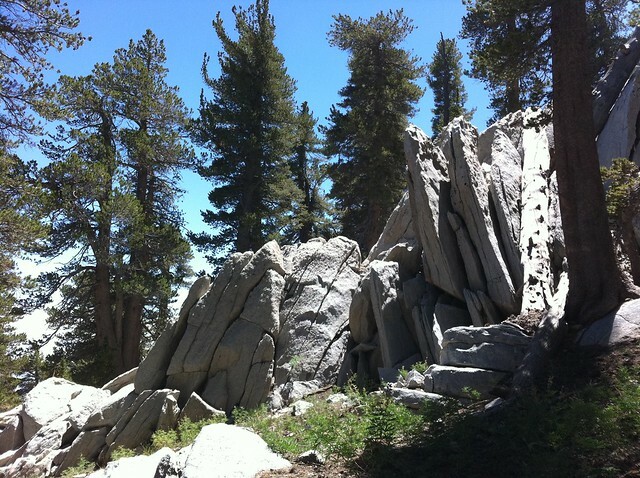 There is a trail junction just beyond Long Valley Station – be sure to head toward Mount San Jacinto and Round Valley and not toward Hidden Divide – then start to enjoy the shaded, cooler mountain scenery. The trail winds through some magnificent boulders and rock formations for the first 1.8 miles and depending on the time of year you may run across some rock climbers practicing their craft. 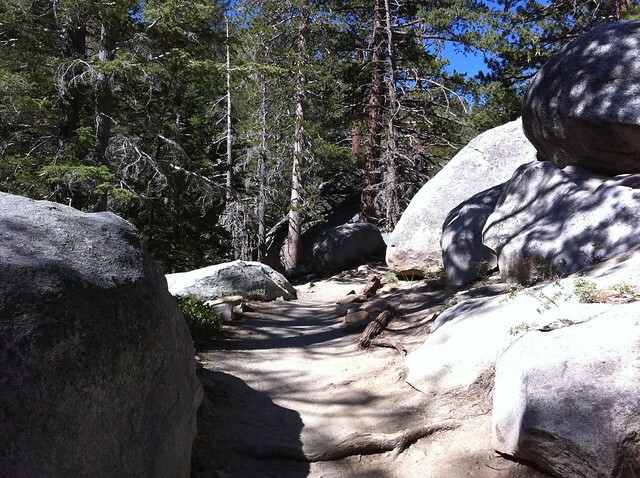 The trail meanders through some large boulder formations and stray rocks while under the shade of pine trees and – for the early stretches at least – doesn’t gain that much elevation. All in all, a very pleasant stretch of trail. Return to the trail and keep hiking west. 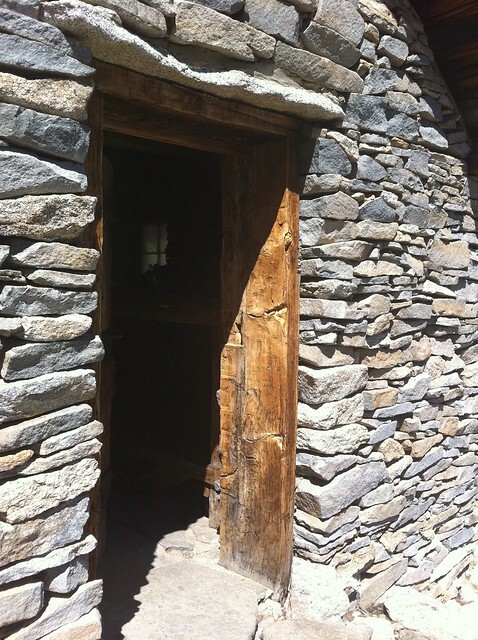 Very shortly after the meadow, you’ll reach a trail junction with a small, spring-fed spigot and some outhouses. Heading north here will get you to the two Tamarack Valley campgrounds. 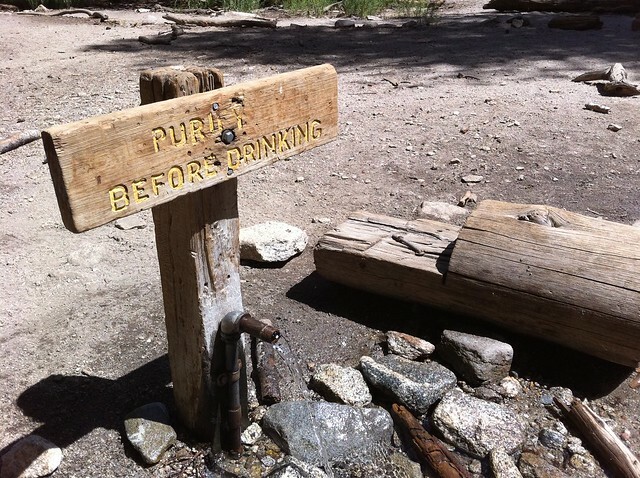 Fill up (and treat) your water if you need to, then continue hiking west. For the next mile, the trail makes its way over rockier terrain while gaining almost 700 feet of elevation. The incline isn’t that bad, but it’s definitely more than you’ve been doing so far. 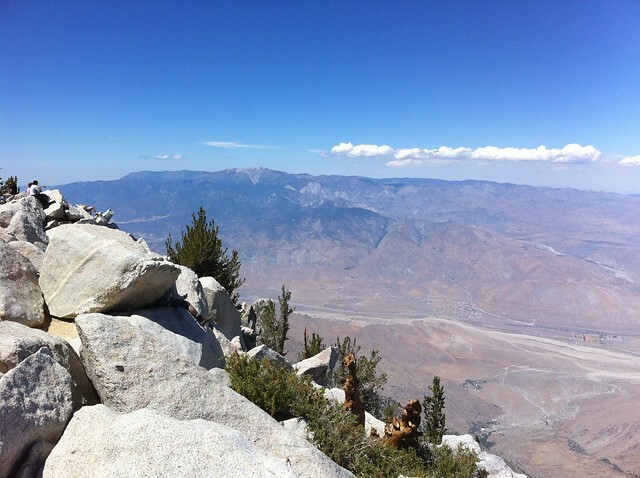 At the end of this mile, you’ll find yourself at Wellman Divide, a perch on a broad east-west ridge that gives you a commanding and inspiring view of the San Jacinto Wilderness. Keep north at the junction at Wellman Divide to head toward San Jacinto Peak. The sign says 2.3 miles, but it’s actually about a half-mile longer than that to the summit. Here, the trail makes a long climb north, just east of Jean Peak. There’s more rocky trail here and about 900 feet of gain until the next trail junction, but at least you’ll have some stellar views of Tamarack Valley and the desert below you. Here, the rock formations change a bit and become more pronounced, which will help prevent boredom as you make your way up what’s basically one huge switchback. The trail switches just west of Miller Peak before crossing a short exposed section and ending up at another signed trail junction. 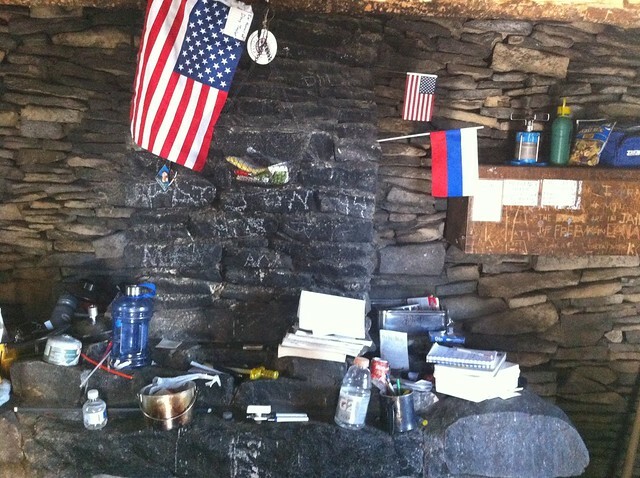 From this final junction, it’s only 0.2 miles to the Mount San Jacinto Emergency Shelter – which is definitely worth a peak inside if only to see what people have left behind as help for fellow hikers and mementos of their journeys. When you’re done in the shelter, keep heading along the trail for another 0.1 miles to the summit. The trail does kind of dissolve into the summit boulder formation before it actually reaches the peak, and you’ll most likely have to do a bit of scrambling to make it to the summit. 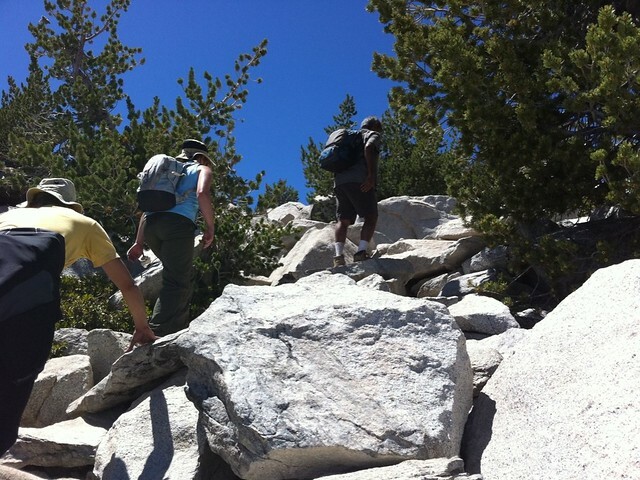 It’s pretty easy as far as scrambling goes, but if you’re nervous or not used to using your hands when you hike, just take your time and follow where other hikers are climbing. You’re practically there, and in a minute or two of scrambling, you’ll be at the summit! You may note it’s a bit crowded near the summit marker depending on what time of year you head up here, but the summit itself is wide enough for everyone to find their little secluded sections – and just about every position has jaw-dropping views for miles – so just soak up some sun for a few minutes and enjoy the scenery! When you’re done, head back down the way you came and get ready for the tram descent – it seems a lot faster on the way down than it does coming up! 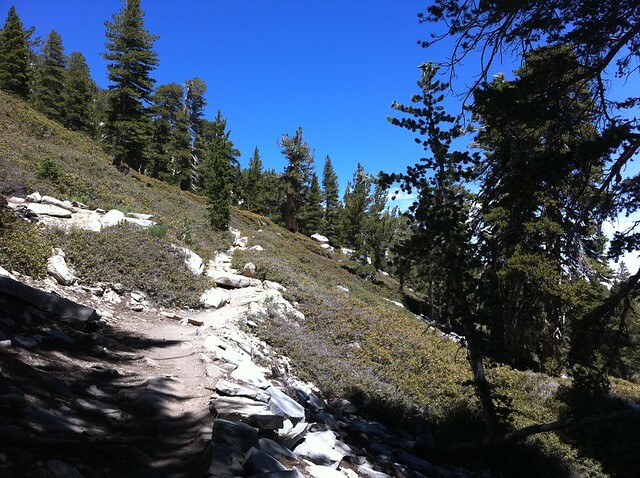 Tamarack Valley, Round Valley, and Little Round Valley Camps are all accessible from this trail. From Los Angeles, head toward Palm Springs. From I-10, take exit 112 for State Route 111 toward Palm Springs. In 8.6 miles, take a right onto Tram Way. Parking for the Tram is at the end of the road in 3.9 miles. You do not have to display an Adventure Pass, but in order to ride the Tram up you'll have to purchase a ticket. Current rates and more information can be found at the Tram's web site. Time is a huge variable for hikers and is always an imperfect gauge. For the most part, I usually take my time and add a bit to it to allow for a wider range of hikers' expectations, but generally I think 3-3.5 miles an hour is the speed I'm hiking at. That also varies per trail. On this particular route, when I hiked it we were training for Whitney so we may have been going a bit faster than most ... the best bet is to know your own hiking speed and look at the distance and elevation stats, and to use the time listed as a rough estimate. Hope you had a great hike! Just did this hike yesterday. Interesting to gauge your 5 hour estimate versus my experience. I was just a few minutes under 5, so that would be very accurate for me. One other hiker who took the same 10 am tram was about 5 minutes behind me, but I think everyone else hiking the trail took much longer. I’m wondering if your time estimates are for experienced rather than “average” hikers? That spring-fed spigot was not running last season (2016). 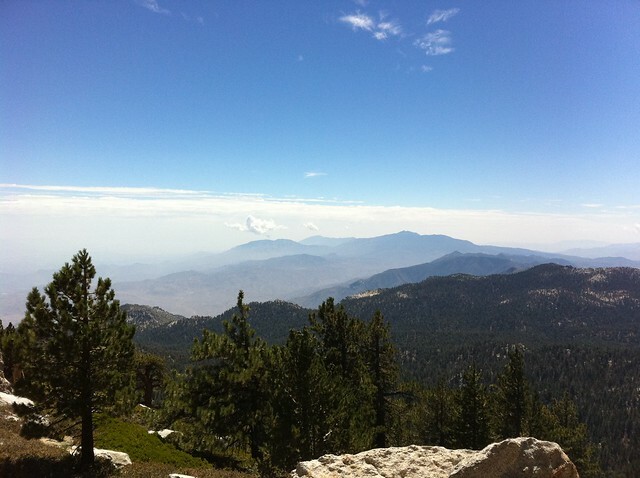 San Jacinto is truly an "Island of Wilderness" high above the desert floor. 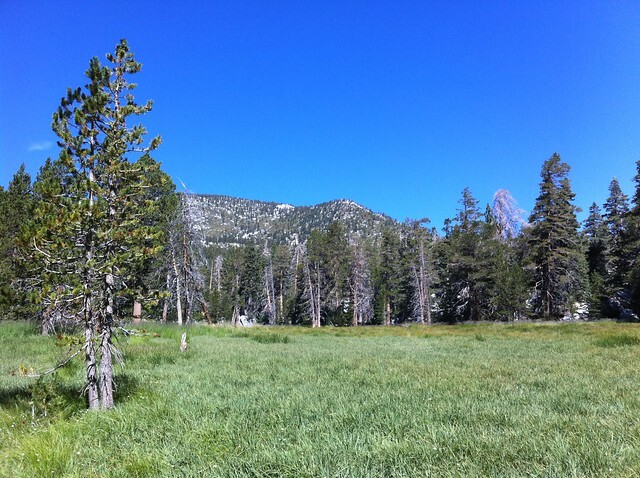 We camped at Round Valley and felt like we were in the Sierras. 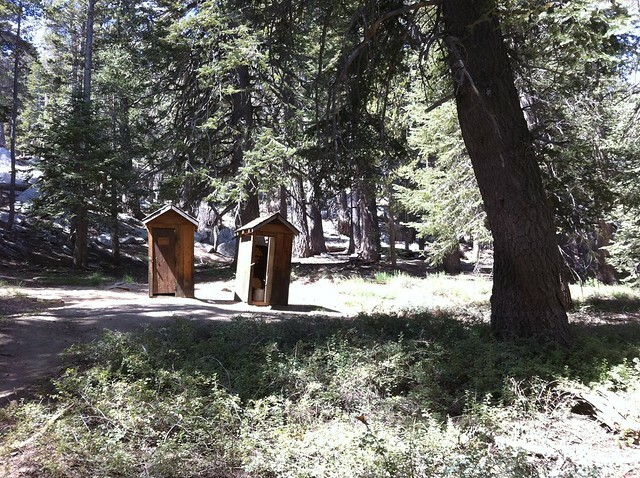 The sites are spread out and offer the privacy that is so hard to find in Southern California backpacking. The water source pictured in the blog above is not flowing at this time. We were able to find a small stream of running water to purify but water is scarce. We are definitely going back and exploring other campsites that looked awesome at Tamarack. I hiked to Mt. San Jacinto on Friday and I agree with the comments that the hike offers terrific rewards in the form of spectacular views from the top. It's a wonderful day hike and, at 10,843', offers great altitude preparation for those considering a hike to Mt. Whitney. It can be rather breezy at the top so be sure to anticipate winds and a 30-40 drop in temperature from the base of the tram to the peak. I just hiked this on Thursday. It was super windy at the top and got rather cold. Thankfully, I was prepared. Anyway, the trail is mentioned in this write up about being marked well. I don't know. My opinion is that it could be marked better. There are various forks in the road with no sort of signage. At first I thought it was me but after talking to some other hikers going up and down the mountain, they also were a little miffed and at times confused. NWS says a high of 69 degrees today. Thanks for the great info on this hike! Any idea how hot it gets in the summer? I was hoping to go in July, but I can't tell from the pictures how long the trail is shaded for?